As marketers embrace omnichannel advertising to deliver a connected brand experience, marketing executives are spending hundreds of thousands of dollars to understand the types of marketing investments that are most likely to produce – viable, long-term revenue growth and profitability. Broadly speaking, marketing mix models evaluate the key components of the marketing plan, such as promotions and advertising by combining data from online and offline sources to present a clear guidance for an improved return on marketing investment. 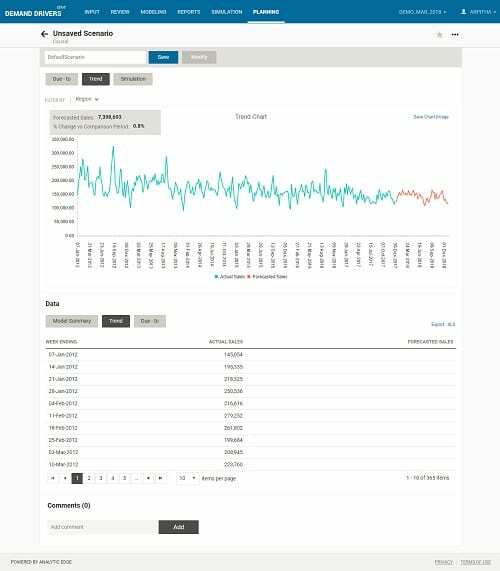 However, data forms a crucial element to Marketing Mix Modeling – and it’s not just clean data but data that is specific to a KPI being analyzed, such as pricing, promotions, events, campaigns, macro-economic indicators and other salesforce drivers that can help is robust model build. Now, MMM have become the workhorse for enterprises and even SMB’s but marketers need to understand one model will not fit the entire portfolio of offerings they have. Given how MMM is an ongoing process, the models need to be reweighted on a regular basis. 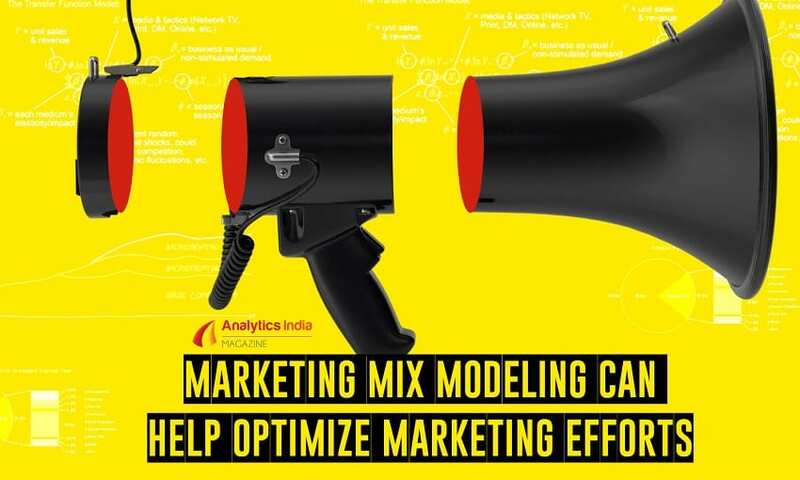 Is Your Marketing Mix Modeling Platform Delivering Measurable Value? Is your team or vendor able to deliver a marketing mix model that can lead to sustained, long-term sales growth and improved profitability? Are the simulated marketing variables delivering the right results and is it viable for marketers to implement the recommendations as part of their strategic planning activities? Most MMM solutions available in the market today do not allow any clear visibility into the link between ad spends, promotions and the measured KPI, leading to a black-box experience for consumers of these solutions. There are several profiles of solution providers with offerings in this ever-growing landscape from large software-service providers, pure-play analytics services firms to traditional business consulting firms. Today, independent analytics vendors like Analytic Edge are at the vanguard of a new wave of companies that offer fully-featured domain-agnostic market mix modeling platforms and product suites. Analytic Edge has revolutionized the marketing mix analytics by enabling clients with features such as data onboarding, built-in marketing plan templates and “What If Scenario” simulation analyses that enable real-time dissemination of insights through an easy-to-use technology platform. Another key factor is the cost saving advantage offered by Analytic Edge’s Demand Drivers platform which combines data from disparate sources to develop an end-to-end analytical solution and helps organizations achieve their business goals. While the primary objective of MMM is to quantify the link between ad spending, promotions and any KPI being measured, another objective is to maximize KPIs by forecasting the right media mix for promotions. But as marketers and CMOs, how does one actually trust the validity of MMM given the complexities involved in the underlying data science approach. This is where Analytic Edge’s Demand Drivers platform differs – instead of following the conventional black box approach, marketers get visibility into every step of MM model development. 2) No Black Box Approach: Clients at times do not trust the validity of MMM due to the complex underlying data science approach but Demand Drivers allows visibility into every step in the marketing mix model development. 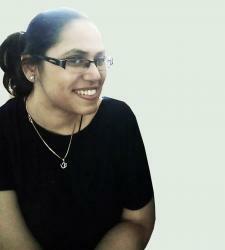 Clients can easily follow the logic due-to a user friendly and non-technical UI design. 4) Expanded Coverage: Senior management spends millions of dollars on MMM and due to cost-pressure, the clients outsource MMM for only the high performing brands and geographies. Also, given the long turnaround times taken to deliver MMM it is often difficult to implement for multiple brands. This is where Demand Drivers scores over other vendors by accommodating a larger portfolio due to the seamless process for developing and deploying MMM at an affordable cost. 6) Business Friendly Simulation: Marketers can choose to run an optimization that will use the sanctioned budget and allocate it across all marketing tactics. Traditionally, this is done outside the MMM platform, based on client request and incurs an additional cost. 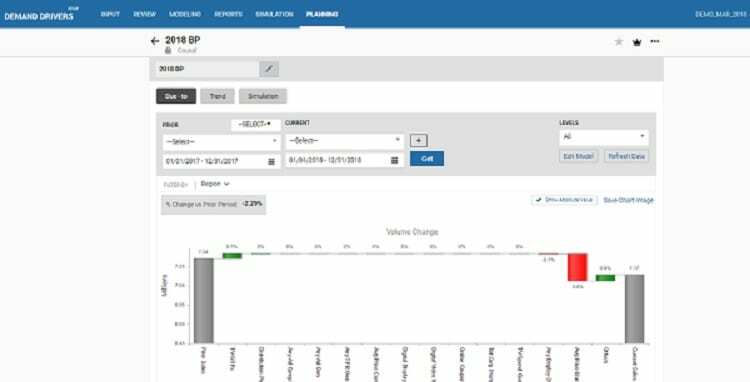 Also, one of the key differentiators of the Demand Drivers platform is that it offers a client-friendly dashboard and an easy-to-use interface to run simulation and optimization what-if scenarios. 8) Flexible Subscription Model: Demand Drivers is a good fit for both SMBs operating on small budgets as well as large organizations with big marketing budgets. The cost effectiveness of the platform makes it a viable option for licensing.